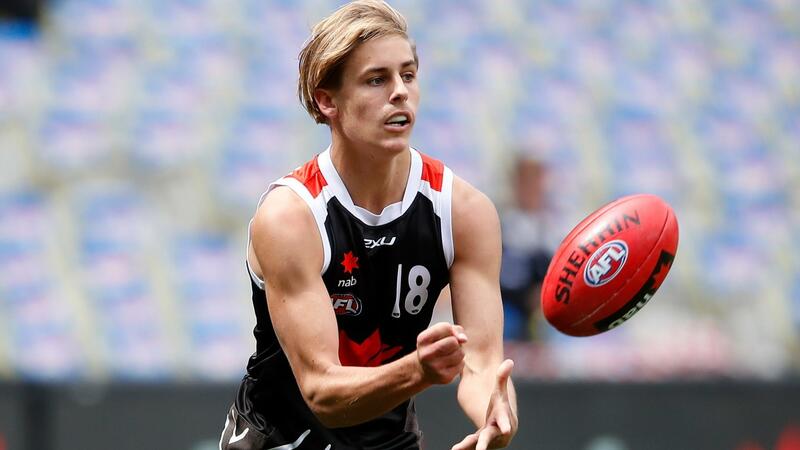 The son of former Hawthorn and St Kilda player Dean looks set to be one of the top picks at next year’s draft. 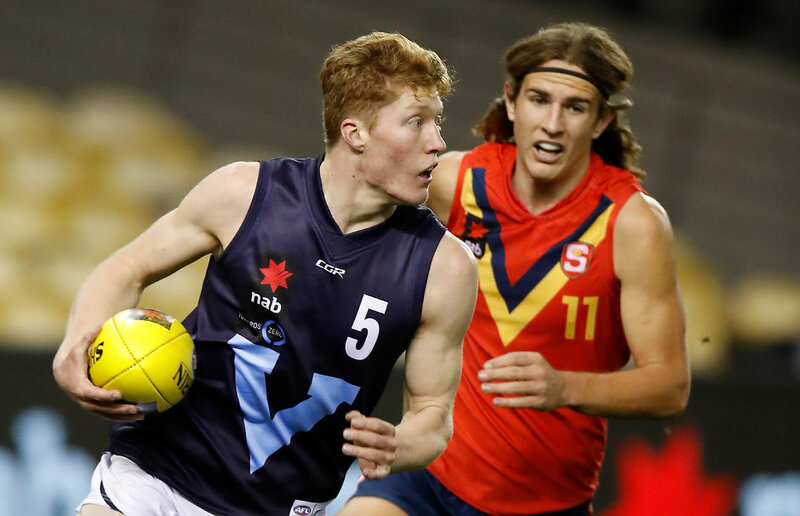 He is a big-bodied midfielder who can also push forward, which he showed when he booted four goals for Vic Metro earlier this year as a bottom-ager. Tough, strong, an elite runner and very good at the stoppages. He isn’t eligible as a father-son for the Hawks or Saints as Dean didn’t play 100 games for either club. 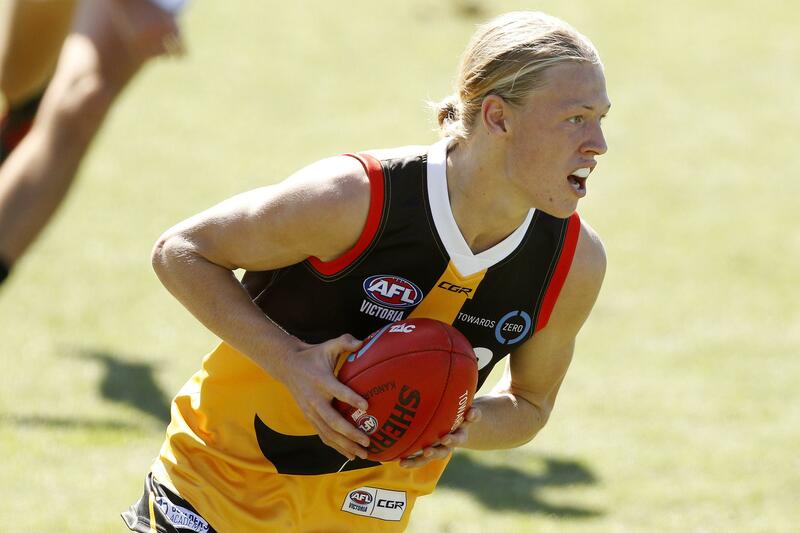 Jackson gave up a very promising basketball career in July to pursue a place in the AFL, despite dominating for Australia at the under-17 basketball world cup. He finished the year playing in the under-18s side for East Fremantle and is an athletic ruck prospect with a great leap. He also has the capacity to be another midfielder at ground level, where his follow-up is excellent. One of the leading tall forward prospects in next year’s pool. Jeka is a big and strongly-built goalkicker who is also a long and booming kick. He will need to work on elements of his game next year but has the size and stature, plus the talent, to be able to stand out as a marking option in attack. Lock Rowell in to be one of the most talked about players of next year and a genuine No.1 pick candidate. The hardened midfielder had a brilliant end to his season, winning best afield honours in the TAC Cup Grand Final despite Oakleigh’s loss, and followed it up with being named best on ground in the under-17s NAB All Stars game on Grand Final morning. Relentless, tough, skilled and drags his side with him. Serong has some Robbie Gray-like traits. He’s a powerful, smaller half-forward who doesn’t waste his disposals. He’s creative and classy, and when he has a dip through the midfield he makes an impact there, too. Serong was among the best players on Grand Final day in the NAB All Stars under-17s game and he will be talked about regularly as a possible top-10 choice next year. Sharp was excellent in the under-17s All Stars game on Grand Final day, providing great run and carry from the half-back line and through the wing. Sharp is a good size, he’s agile and likes to run with the ball and take the game with him. Will be one to take the eye next year playing for Western Australia. Taheny might be the standout South Australian in next year’s crop after having a quality batch in 2018. The left-footer is a strong mark and can play across half-forward or half-back, and next year will be keen to develop his strength and running capacity. He is a cousin of former North Melbourne player Brad McKenzie. Perhaps the most talented player in the next year’s pool, Williams starred at the end of the season for the Chargers, booting 14 goals in the finals series (to finish with 26 for the year from 16 games). He is a quick-footed, sharp and smart marking option in attack who judges the ball well in the air and is deadly at ground level. He’s a very nice finisher and will excite recruiters throughout next year. Worrell has the height, shape and athleticism to play nearly everywhere on the ground. He competes in the air and is tall enough to take his grabs, but is also really good at ground level and generally plays across half-back or half-forward. Has good agility and is a part of the Haileybury College program that has produced early draft picks Max and Ben King this year. An attacking half-back who can intercept well in defence and then start his charge up the ground. Played some strong footy for the Dandenong Stingrays last season and showed his balance in defence, where he enjoys taking the game on and hitting targets on his left foot. Likely to feature a little more in the midfield during his draft year. Irrelevant thread; we won’t have a top 10 pick. Unless of course, you have any semblance of a life. I feel like Serong would be a good fit. Come on now, … we couldn’t have a Serong, and a Gown on our list, that would be really stretching the wardrobe, … and the puns,… too far. Plenty of time for that to change. Concur. One of these guys will need to slip way out of the top 10 to make it to EFC. Like a Fox Sports article from March this year listed the top 25 prospects, including Bytel and Joyce and Williams and Stack and Hudson Garoni! Actually Twomeys equivalent article from last year was good for the top 10, except had Curtis Taylor there, who went much later. Speaking to a few SA scouts they haven’t brought up McEntee much what can you tell me about him? Have heard good things about Finlay and Pickett along with Mead and Stephens. Massive wraps I’ve heard for Durdin hearing he is already a top 10 lock for that draft. 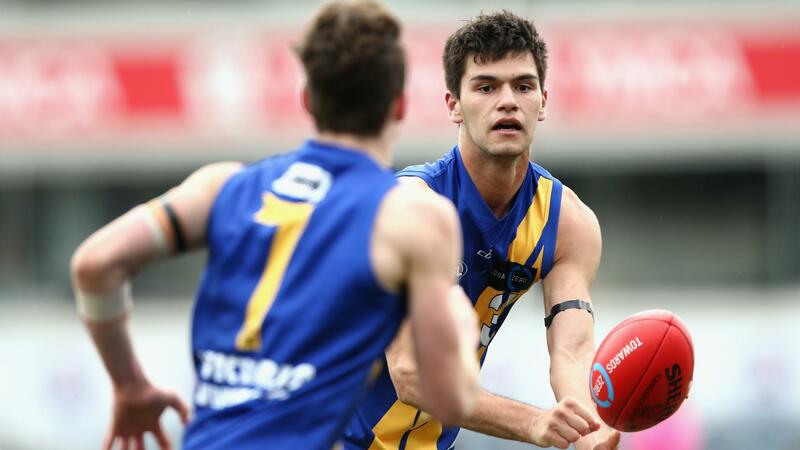 Hearing of a similar type from Glenelg called Brady Searle, looking like SA should be doing welll again next year. Is Taheny any relation to Fiona OLoughlin and Emily Taheny? ?